Constituency polling by Survation in South Thanet puts Nigel Farage 11% in front of Labour, 12% in front of the Conservatives and on course to win the seat in May. Survation has the best record of predicting UKIP success (or otherwise) in elections which is presumably why Alan Bown chose them to perform all his constituency polling. 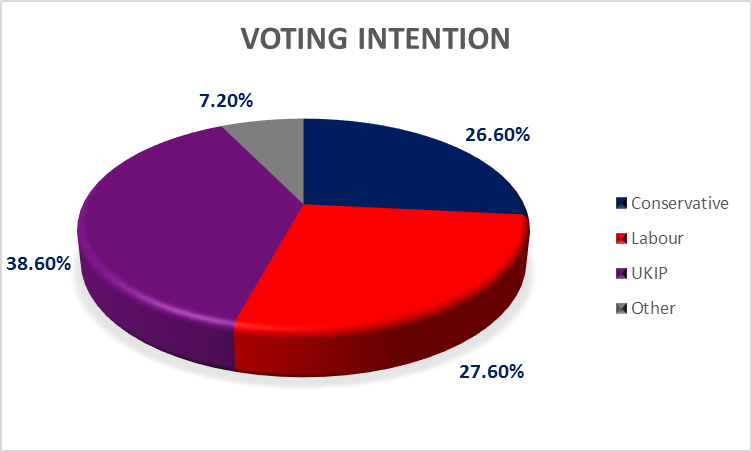 If Survation are calling it for Farage then Labour and the Tories should be very worried. The Tories are going into the election with a respectable 6.6% majority which translates into what should be a comfortable 7,617 votes clear of the opposition but UKIP is decimating the Tory vote and taking chunks out of Labour too. Voting Conservative in South Thanet will only split the UKIP vote and let Labour win.